Personal finance company Credit Sesame is announcing today that it has raised an additional $16 million in an oversubscribed Series D round of funding, with plans to raise more – as much as $20 million – in the near future. The company, a prior TechCrunch Disrupt Battlefield participant, was one of the first to market with solutions that allow consumers to monitor their credit and score, protect themselves against identity theft, and reduce their debt through credit and loan management services. “It took us a few years to get to $50 billion active loans, and we believe that we believe we’ll be about to double that in the next 12 months, and maybe even before the end of the year,” says Nazari. 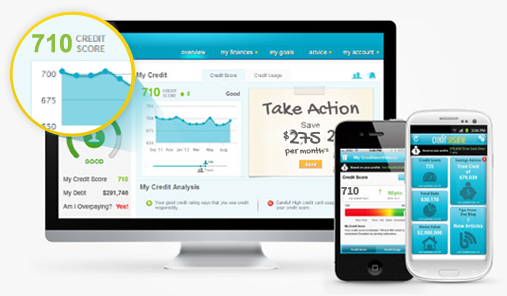 Today, 70% of the users that arrive on Credit Sesame’s site are looking to improve their credit, but when they drill down on what that means to them, it leads to a variety of secondary goals related to other things that the company can help with, like consolidating or reducing debt, getting better rates on loans, and so on. Credit Sesame offers a number of free products in these areas, but also offers a way to upgrade to premium services that provide more protections and features. The additional capital is being put to use to speed up customer acquisition, plus expand its credit and loan management services as well as the Credit Sesame team, which is now over 50, and will roughly double in size in the next 12 months. The company is also expanding its offices in San Francisco. 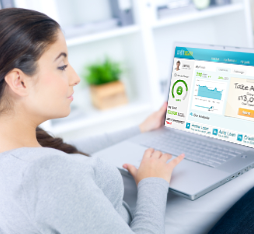 Meanwhile, on the product side of the business, Credit Sesame is poised to announce a few new additions to its line-up at the Finovate conference, including the debut of an Apple Watch app that can alert you to identity theft, credit alerts, and goal progress; Credit Sesame’s integration with Siri so you can ask your device about your credit score; and a new product aimed at the millennial audience, which will soon be detailed.